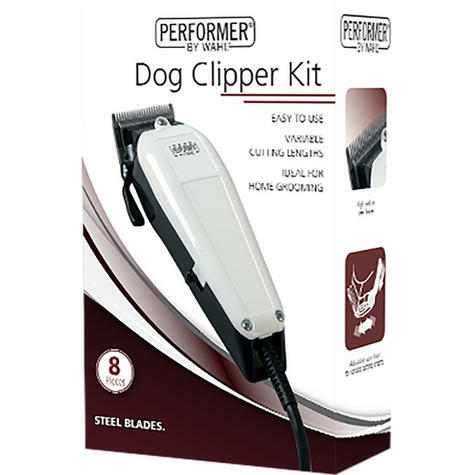 The Performer by Wahl Dog Clipper Kit is a high performance mains operated, simple to use home grooming kit. The high carbon steel blades are precision- ground to stay sharp for longer and easily cut through fine, short and coarse coats. The 4 attachment combs gives cutting lengths of 3,6,10,12mm and the thumb adjustable taper lever allows further variation of cutting lengths for a full range of styles. 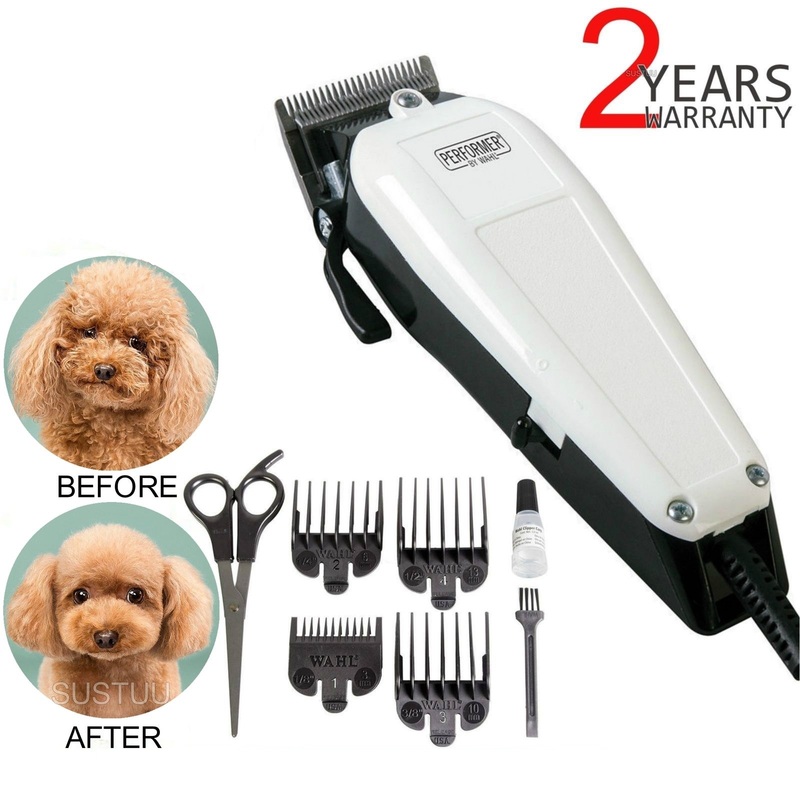 The kit also contains scissors, a blade guard and maintenance materials, everything you need for grooming your dog. Highperformance mains operated, simple to use home grooming kit. 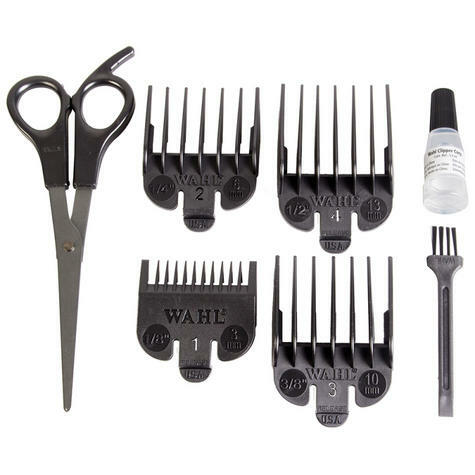 4 attachmentcombs (3,6,9,12mm) that clip easily onto the clipper for a range ofstyles. High carbonsteel blades cut through fine, short and coarse coats. 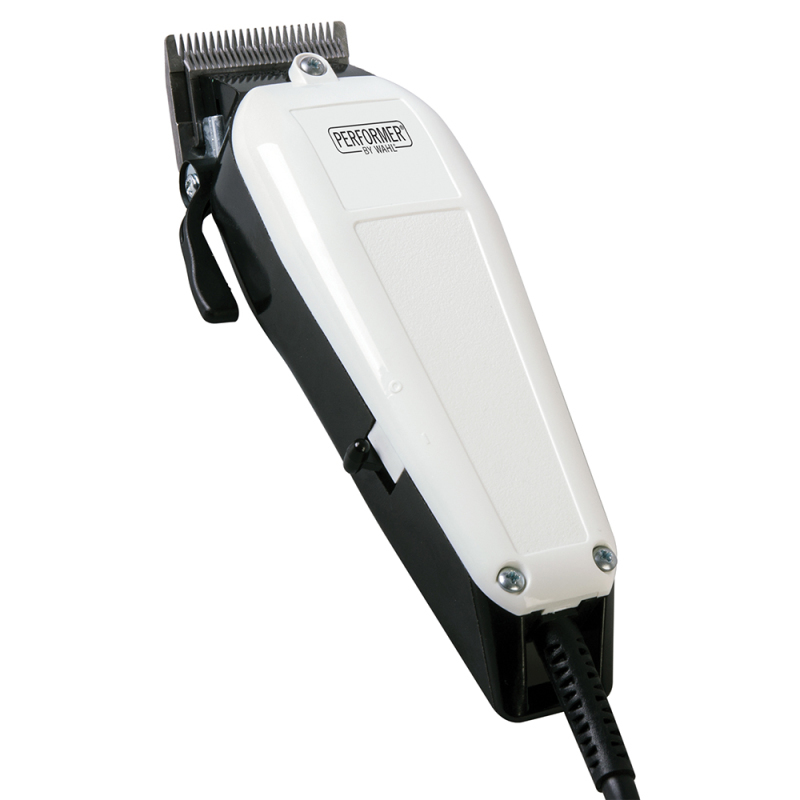 Thumbadjustable taper lever allows further variation of cutting lengths. The kitcomes complete with scissors and maintenance materials.